The 2010 Arts Auction is a "multi-media event" – in more ways than one. First, there are all the fine works by renowned and emerging local artists and artisans. The media used for artistic expression are as diverse as the artists themselves: oil, pastels, watercolor; steel, bronze, copper; clay, glass, plaster. Landscapes, portraits, and still lifes represent a variety of styles from abstract to realism, modern to traditional. Sculptures, kinetics, jewelry, pottery, and textiles satisfy the tactile sense, while stunning photography proves life does imitate art. The way the Art Auction will be made accessible to art collectors and the public is its own multi-media event, too – in person, on television, and on the Internet. 1. 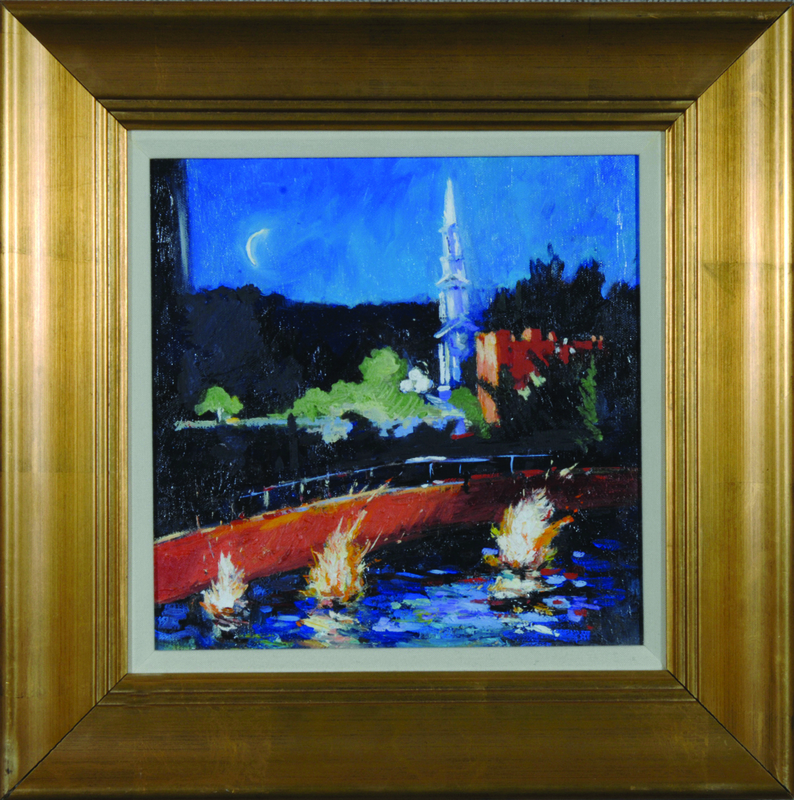 Beginning October 1 through October 24, works will be available for online browsing and bidding at www.ripbs.org. 2. WSBE Rhode Island PBS produced a special half-hour television program to showcase selected pieces, as well as profiles of several artists at work. 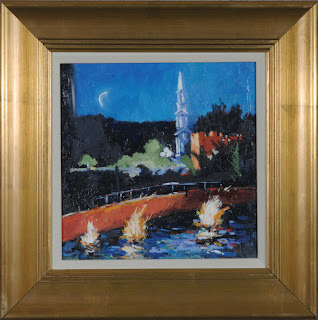 This preview show, entitled, Rhode Island PBS Arts Auction Collection 2010, airs throughout October on WSBE Rhode Island PBS and WSBE Learn. See dates and times below. The complete collection of donated works will be on Gallery Style Exhibit at the Rhode Island Convention Center (RICC) Lobby in Providence, from October 16 through 24. On October 22, the opening night of the Providence Fine Furnishing Show, Rhode Island PBS will host an Artists Reception at the RICC. The public is invited to meet some of the artists, and browse the artwork. A special Rhode Island PBS Fine Arts Exhibit will be featured in the Providence Fine Furnishings Show, October 22 through 24. All bids will be accepted online exclusively. Internet access to the auction items will available at secure laptop stations set up at the RICC. 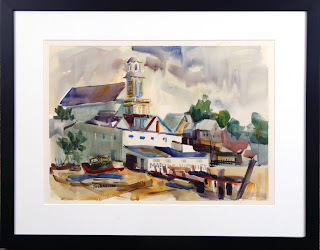 The 2010 Art Auction ends online on October 24. The gallery exhibit in the RICC lobby is free. For more information, visit www.ripbs.org or call 401-222-3636, ext 327. For details and tickets to the Providence Fine Furnishings Show, visit www.finefurnishingsshow.com. WSBE Rhode Island PBS transmits over the air on digital 36.1 on Cox/Verizon FiOS/Full Channel cable 08, Dish 7776, and DirecTV 36; WSBE Learn transmits over the air on digital 36.2, Cox 808, Verizon 478, Full Channel 109, Comcast 294. Bob Walsh – executive director, National Education Association R.I.
Savory idea: Meritage or Chardonnay's on October 3rd! Meritage Restaurant in East Greenwich, RI, and Chardonnay's Restaurant in Seekonk, MA, offer a tasty way for your to support Rhode Island PBS. On Sunday, October 3rd, if you dine at either restaurant, the management will donate 15% of your bill to Rhode Island PBS! But there's a catch: you must mention that you are at the restaurant to support Rhode Island PBS. :) That's it! Easy as that. Just be sure to mention you are there in support of your local public television station - Rhode Island PBS - and 15% of your bill will benefit the station. Reservations are recommended. For more restaurant information, directions, menus, or to make reservations, visit the Meritage Web site, or Chardonnay's Web site. They are a powerful force in the natural world. 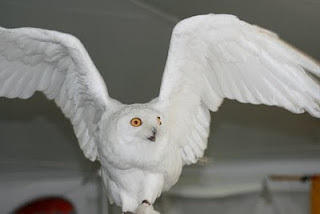 Birds with long sharp talons, amazing strength, hooked beaks that tear, and highly developed eyesight and hearing. They are raptors, the superior hunters of the avian world. Birds of prey with keen adaptations that provide speed and accuracy for the hunt. And they’re coming to the Audubon Society of Rhode Island’s Environmental Education Center for Raptor Weekend, September 11 and 12, 2010. Wildlife rehabilitators and experts from across the Northeast will be showcasing a wide variety of these extraordinary birds of prey at the largest raptor celebration in New England. Eagles, falcons, owls, and hawks will be featured in live flight demonstrations and educational programs for bird enthusiasts of all ages. 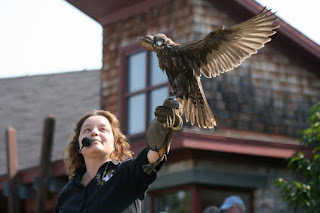 In partnership with ASRI, WSBE Rhode Island PBS will send FOUR families to Raptor Weekend for free! Each family 4-pack of tickets is valued at $25. CLICK HERE to register to win. Click here to see the Raptor Weekend schedule and even some pictures from last year. Visit ASRI Web site for more information. More than a dozen years ago, 10 college friends realized they all loved to sing and decided to start an a cappella singing group. None of them thought it would be anything more than something fun to do throughout college. Nor did they think that new members would want to join after some members graduated. But the group and its popularity grew to become Straight No Chaser. 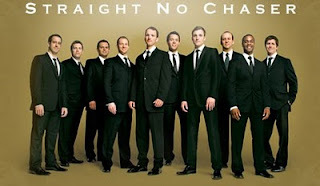 The young men of Straight No Chaser bring all that fun and talent to the Rhode Island Center for Performing Arts at the Historic Park Theatre on Park Avenue in Cranston on Sunday, November 21st. WSBE Rhode Island PBS is pleased to offer tickets to this unique concert experience. 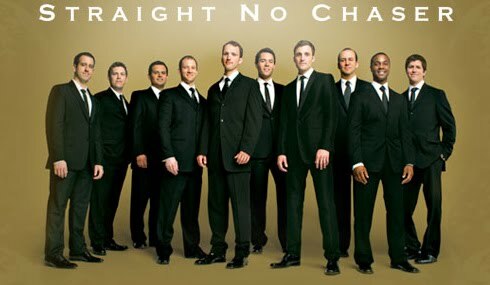 Tune in on Thursday, September 9 at 9:30 PM to watch and enjoy their televised concert special, Straight No Chaser Live in New York, and to get details about tickets to their local live performance in Cranston. It's On the Horizon - Celtic Thunder Rolls In to Providence! Two members of Celtic Thunder - Ryan Kelly and George Donaldson - will be in WSBE Rhode Island PBS studios on Thursday, September 9 to co-host the 8 PM broadcast of their show, It’s Entertainment! All five soloists in Celtic Thunder will perform at the Veterans Memorial Auditorium (VMA) on Tuesday, December 7. Through an agreement with promoters, Rhode Island PBS has premium tickets available to the show. More information about the performance and tickets to the live concert in Providence will be presented during breaks in the televised concert. Since 2007, Celtic Thunder has been delighting audiences with an eclectic mix of traditional Irish music and contemporary pop ballads. 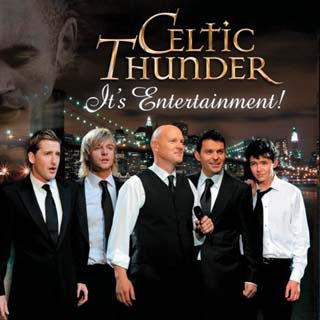 As the members of Celtic Thunder will tell you, Celtic Thunder is not a "boy band" - it is made up five soloists, Paul Byrom, George Donaldson, Keith Harkin, Ryan Kelly, and Damian McGinty, each with different backgrounds and different styles of music. In the performers' latest special, It’s Entertainment!, the singers pay tribute to those who paved the way for them, by evoking the era of big bands as they perform some of the greatest songs of the last 30 years. Working in the tradition of a true variety show, the performers cover a mix of styles, songs, and singers, saluting some of their musical heroes, including: Fred Astaire, Neil Diamond, Jim Croce, Chicago, U2, Michael Buble, and The Beach Boys. Combining solos with small group and ensemble numbers - all songs performed with the men's signature style and high energy - Celtic Thunder provides something for everyone in this feel-good show. WSBE Rhode Island PBS airs the show on Thursday, September 9 at 8 PM, with a re-broadcast on Sunday, September 12 at 8 PM. Here's a preview, courtesy of PBS.